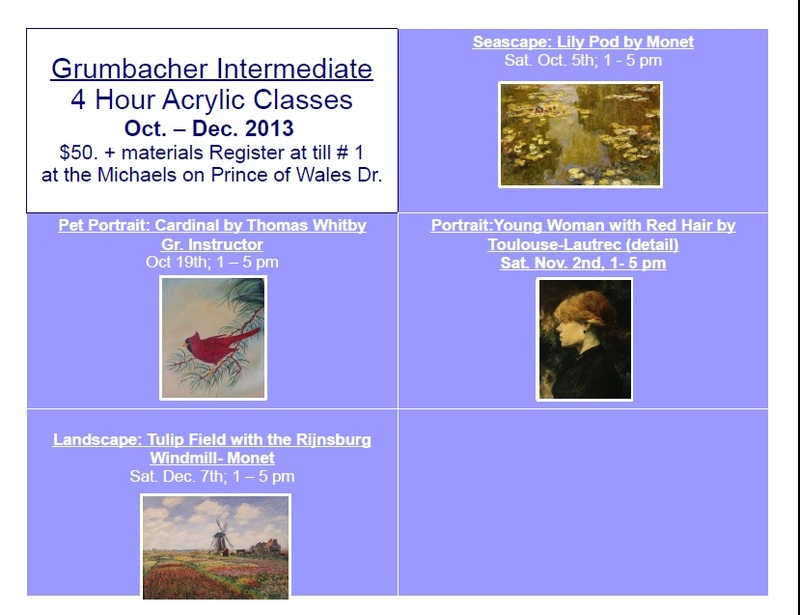 It has been 3 years now that I have been teaching for Grumbacher Acrylics at the Michaels store in Regina. 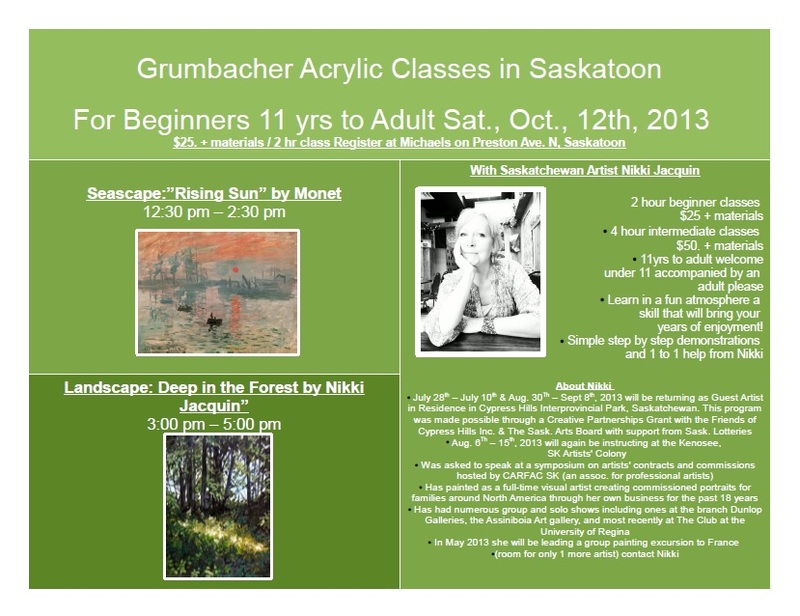 This past May I began offering the classes at the Saskatoon Michaels Craft Store location on Preston. Ave. North. 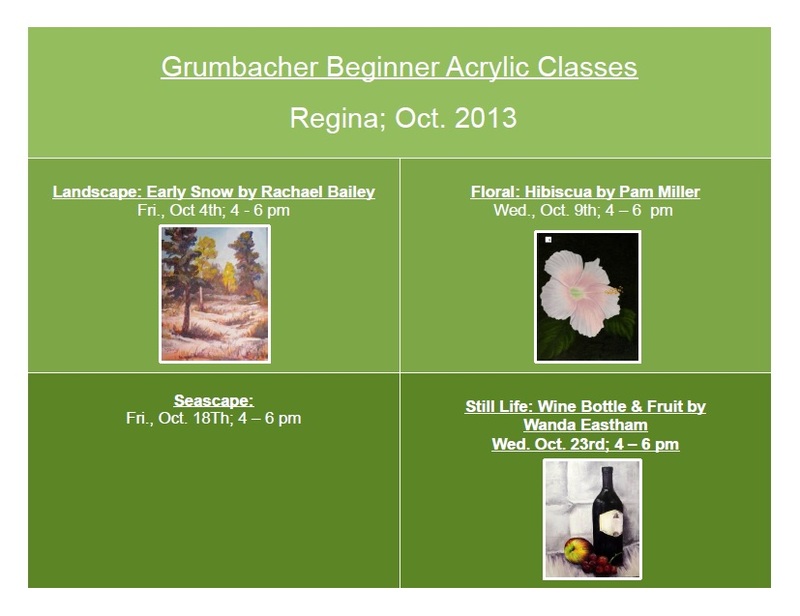 If you are not in either Regina or Saskatoon you might want to go to the Grumbacher web site and search for your city’s name. Grumbacher has over 700 instructors over North America, a pretty fantastic community of talented folks I am so thrilled to have access to. 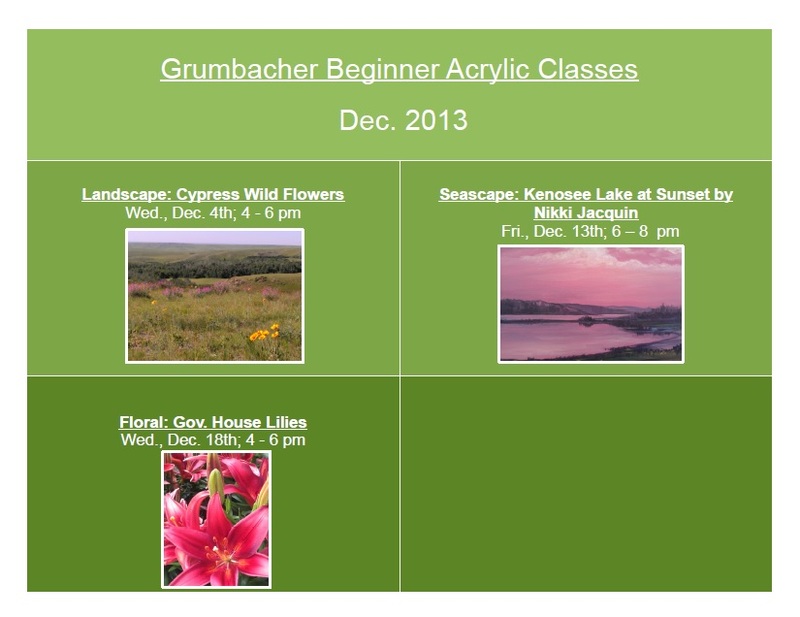 Some of my upcoming lessons were designed by educational coordinators at Grumbacher or by other instructors. They and the students have been the real reward of this job. I can’t really call what I do a job. I meet wonderful students who repeatedly attend the class and become friends. I get to communicate with knowledgeable artists from every corner of North America! I invite you to sign up and join in the fun. 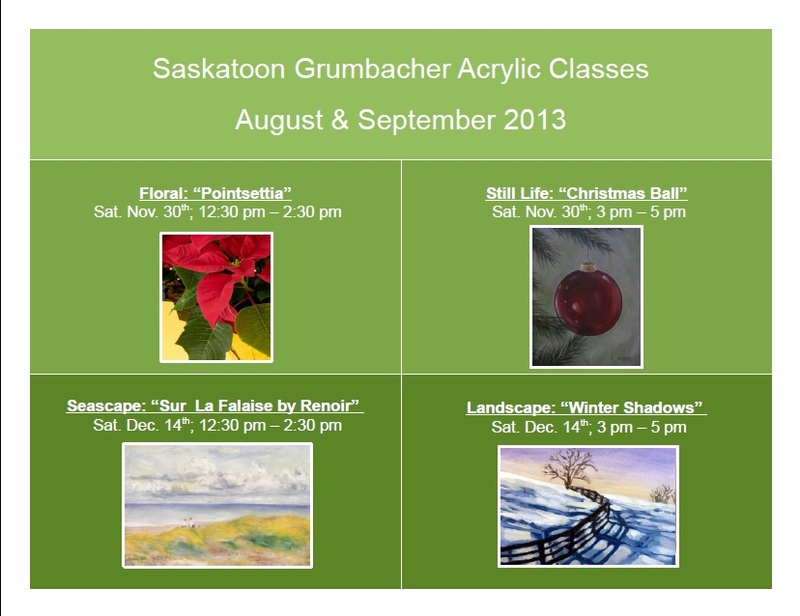 You can register at Michaels on Prince of Wales Drive in Regina also. friendly Michaels associates will help get you all set up with the materials you will need. Be sure to visit Michals on line for coupons before you buy your student kit for fantastic savings! 11 years to adult are welcome. Hope to see you out. You never know, you might just discover a new passion that will last all your life. If you have any questions about the classes or would like a photo calendar emailed to you please contact me at artist@nikkisportraits.com . 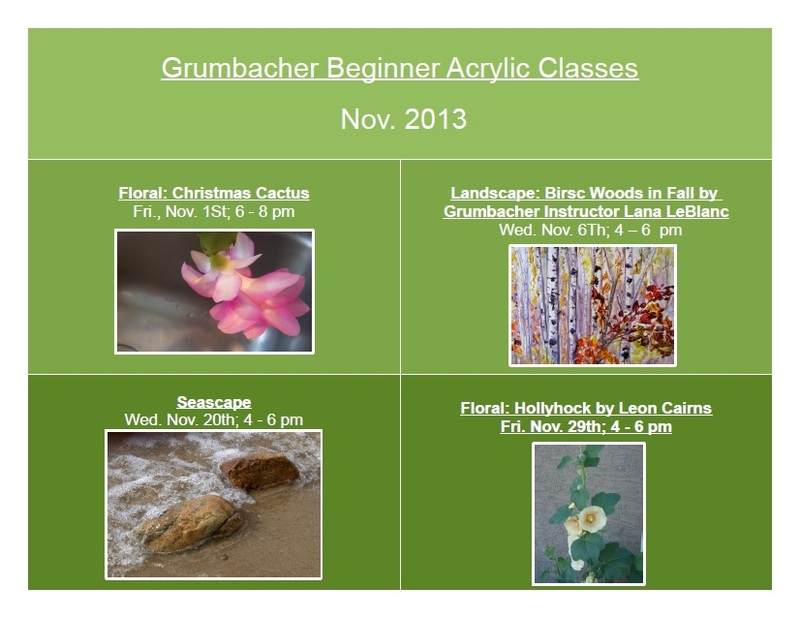 These are step by step classes and you leave with a completed work of art all your own!